Marvel is as prone to following trends as anybody, and if this year has shown us anything it's that audiences are flocking to movies that show cultural diversity. Marvel scored their highest-grossing film of the year domestically with Black Panther, and then there was Crazy Rich Asians which earned $237M for Warner Bros. 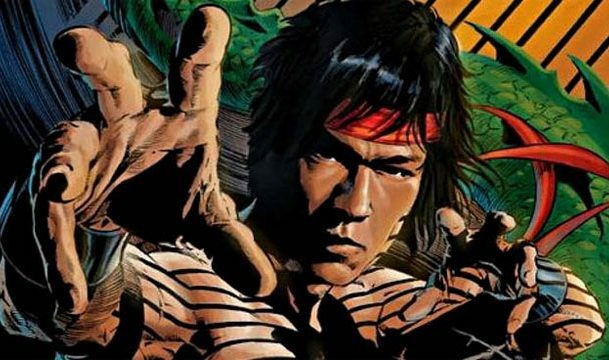 Both films became cultural touchstones at a time when audiences were looking for something different, and now Marvel will bring more diversity to the MCU with a movie on Shang-Chi, the Master of Kung Fu. Deadline reports that a Shang-Chi film is being fast-tracked at Marvel, who have already hired Chinese-American writer David Callaham (Wonder Woman 1984) to write the script. The search is on for an Asian director to step behind the camera, as well. This will be Marvel's first film to feature an Asian protagonist. Shang-Chi was introduced in the 1970s at the height of Bruce Lee's popularity, and basically he's Marvel's version of the legendary Enter the Dragon star. Let's just say it ain't a coincidence Shang-Chi and Iron Fist debuted within months of each other; this was a time when martial arts and kung-fu mysticism were at a peak. I'm just upset they never created a Black Belt Jones analog. Shang-Chi is the world's greatest unarmed combatant, even able to defeat many super-powered enemies. He recently gained the ability to create infinite duplicates of himself, but I seriously hope they leave that out of the movie because it's dumb. Save that power for Multiple Man, please. The cool thing about Shang-Chi is that he exists in many corners of the Marvel Universe. Not only does he open up the martial arts area, but he's a member of the Avengers, and because of his ability to harness chi he's familiar with the mystic arts, just like Doctor Strange. Shang-Chi started out as an ugly Asian stereotype, and at one point was presented as the son of villain Fu Manchu. But Marvel is smart enough to skirt these stereotypes, as we saw with their treatment of Mandarin in Iron Man 3. I'm not worried they'll fall back into racist territory best left to the dustbin of history.